SailGreece.net allows you to send a request to multiple bareboat boat owners & licensed yacht charter agents located throughout Greece. Choose from the entire range of catamarans and bareboat sailing yachts available for charter. Similar to hotel rooms, there are different prices for the same charter yachts in Greece depending on who is offering the yacht. SailGreece.net has been providing this service for over 10 years and has helped thousands of sailors find a great yacht charter at a fair price. The majority of bareboats in Greece are monohull sailing yachts, unlike catamarans which have two individual hulls connected to one another. There is a wide range of bareboat sailing yachts available throughout Greece to meet every budget and charter holiday. Older boats offer considerable cost savings over new boats and are maintained to the same standards for chartering. Good deals can also often be obtained by chartering a lesser known boat. 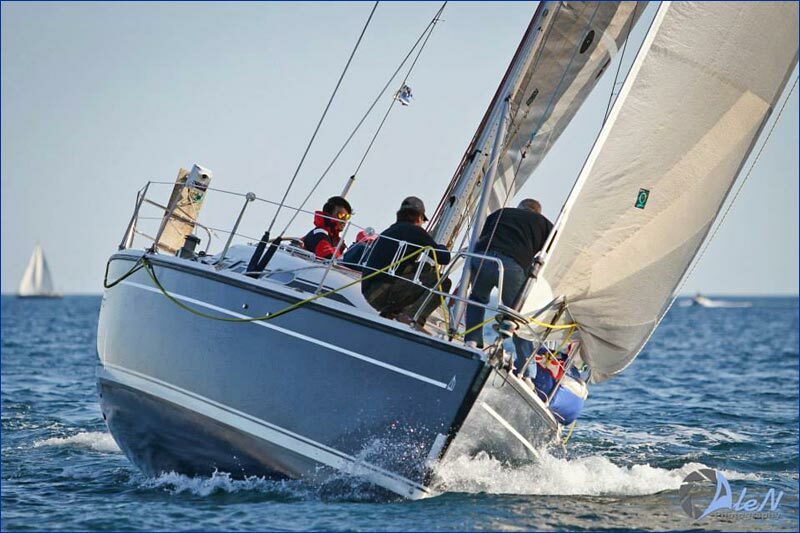 On this site you will find all of the available monuhull bareboats for charter in Greece including models by Beneteau, Jeanneau, Hanse, Dehler, Bavaria, Elan and Ocean Star. You will usually be offered a range of boats according to your request and availability. The best time of year to charter a bareboat or catamaran in Greece is not neccessarily August when prices and temperatures are high and when berths in the islands can be scarce. Consider taking your sailing holiday in Greece in the Spring or Fall if your schedule allows. June and September are great months to sail in Greece. Also be aware that the number of "Guests" of most yachts is listed for guests sleeping only in the cabins. Typically 1 or 2 more guests can be accomodated in saloon berths using the yacht's sofa(s), but this is not always an ideal situation on a boat. To be comfortable choose a boat that has enough cabin berths for your group even if you have to pay a little extra, its worth it. The last several years have seen a increase in the number and variety of catamarans available for charters in Greece. Sailing with a Catamaran charter in Greece offers you increased space, berths and comfort compared to traditional monohull yachts. Catamarans also allow for more privacy between guests and guests and crew. In recent years these boats have become very popular for sailing holidays in the Greek Islands so be sure to book early for the best availability and prices. On this site you will find all of the available catamarans for charter in Greece including models by Lagoon, Nautitech and Fountain Pajot.